Sometimes I wonder why I do it to myself. WHY? Why would I tell you I’m going to post weekly New Year’s Resolution updates? How stupid. Does anyone actually stick to their resolutions? I must say, with a couple of those declarations, I DID add the disclaimer – NOT during holidays, so I can let myself off the hook until this week, but seriously, I am NOT doing well so far. I also have mixed feelings about a very positive step I took today. I’ve signed up with a new personal trainer – Ross. He’s a lovely man – very encouraging and patient. I know he’s patient because I promised to email him last SEPTEMBER with my health background, with the view of starting way back then… But I’m lazy. And life happens. Work commitments and travel got in the way, and then I injured a glute muscle trying to climb over rocks in the Grampians, so I kept putting it off – until today. ‘Well that’s what I’m aiming for,’ I said. 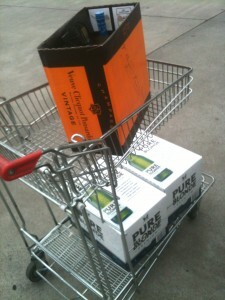 ‘I think three alcohol-free days is pretty good, isn’t it?’ Clearly not. Ross needs to meet my friends. ONE DAY? Is he kidding? But then, Ross gave up alcohol eighteen months ago – purely as a health challenge – and he likes being pure so much, he’s continued. I don’t think that’s on my agenda. 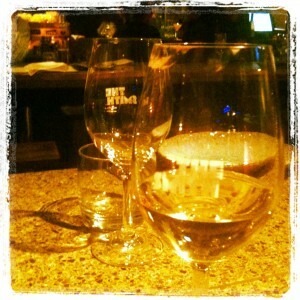 I enjoy wine – especially chardonnay. A good chardonnay is like liquid gold to the palate – in moderation, of course. Hmmm…. this could be a challenging relationship. Our views on drinking are dramatically opposed. But, maybe – just maybe – this is what I need? This is the only resolution I ALMOST get a tick for. While the THREE alcohol-free days rule doesn’t apply during holidays, I still managed two alcohol-free days, so I’m feeling okay about this one. Ross might not be impressed, but I am. I did, however, have one major disappointment with this resolution, and it was by accident. I was helping myself to a serving of yoghurt for afternoon tea, when half way through, I thought I should ‘double check’ the sugar content, even though I was sure I’d already done that and I was fine. BUT, this flavour – apple pie – comes in a six-pack and I discovered the sugar content I’d read was for ANOTHER FLAVOUR!!! Damn!! The apple pie yoghurt ended up being 7.4% sugar, so inadvertently, I’d stuffed up. SO I get a cross for this resolution this week, but I will persist. I get a tick here too, although I did willingly chase the smokers outside last night to stand near them and inhale their second-hand smoke. But I did NOT actually smoke a cigarette. Second-hand fumes don’t count. Another tick, thank you! Overall, checking the scorecard, that’s only TWO out of FIVE. A poor result.I am taking myself off for time out in the naughty corner. I will attempt to pull my finger out next week. Promise. Surely with Ross on side I can do better? How are you going with your resolutions? I’d love to hear stories from someone else who’s finding it tough! 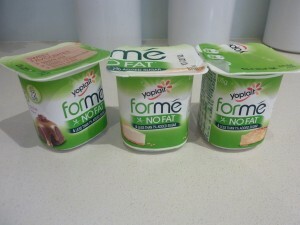 This entry was posted in Opinion and tagged Chardonnay, Exercise, Giving up smoking, Gym, I-Phone games, New Year Resolutions, One line rule diet, Personal trainer, Sugar free diet, Yoplait forme yoghurt by JenniferHansen. Bookmark the permalink. Darling, you know I love and adore you, but why the hell would you be honest with your personal trainer about how much you drink? Everyone knows you atleast halve or quarter the reality when telling trainer. They live a sinless, impossible life that normal people like us could never hope to achieve. Good luck honey, and LOVE the blog.